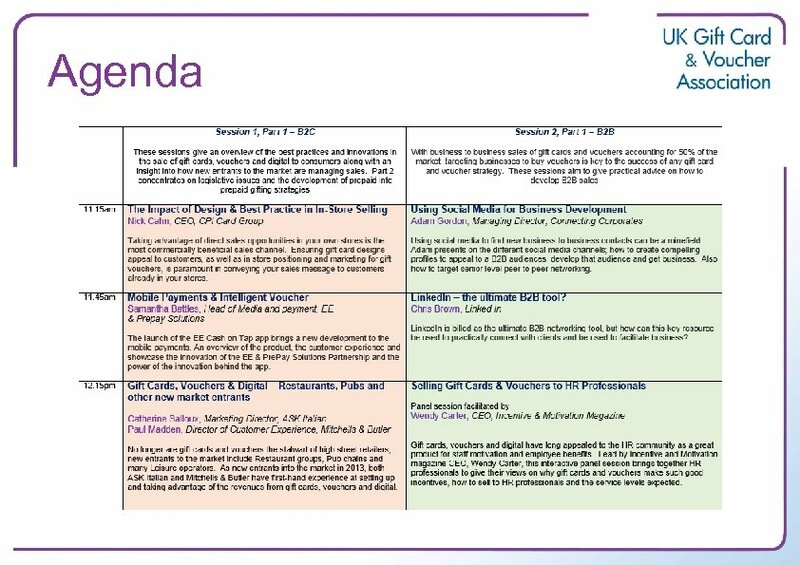 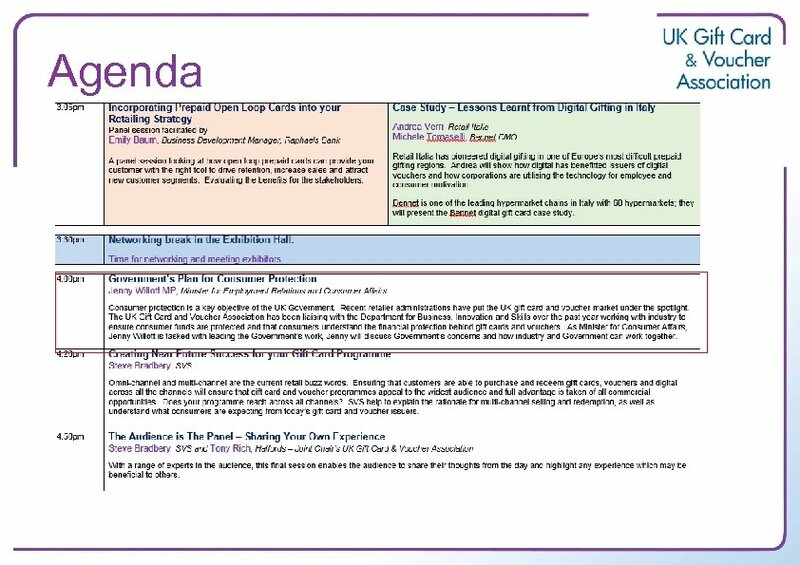 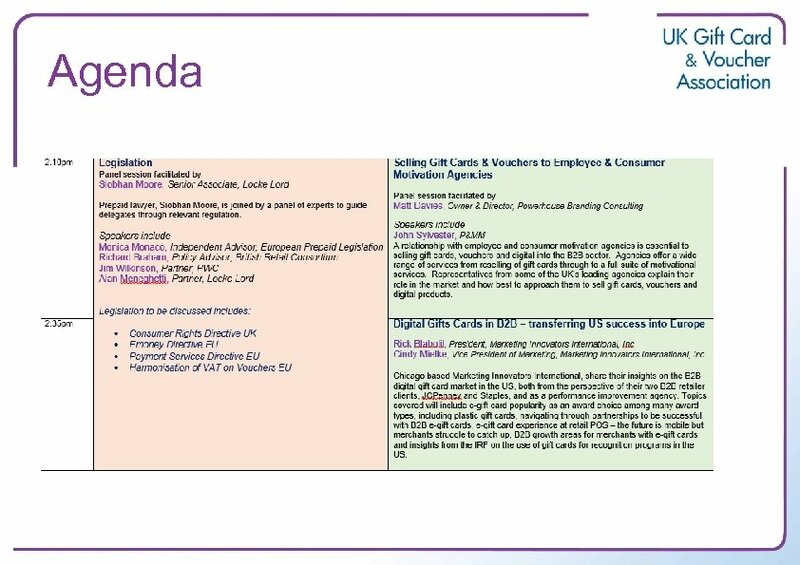 Data Groups Agent Acorne Plc Edenred (Incentives & Motivation) Ltd Gift Voucher Shop Grass Roots P&MM Park Group Plc (Love 2 reward) Sodexo Motivation Solutions UK Ltd Leisure Buyagift Corporate Days of Your Life Ltd Hotel. 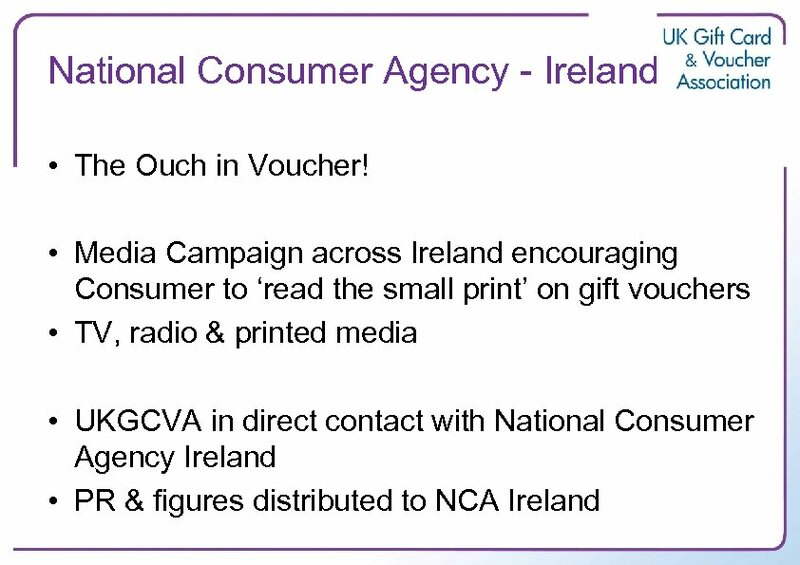 Voucher. 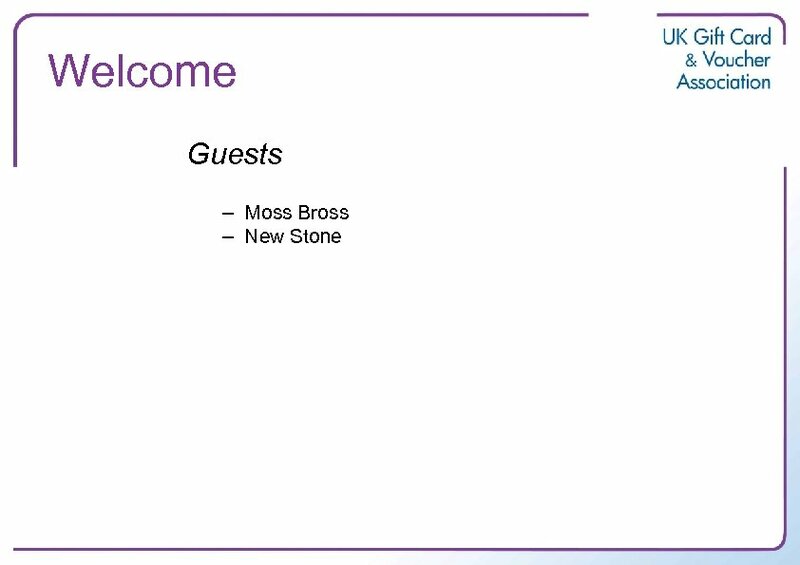 Shop Red Letter Days Spa. 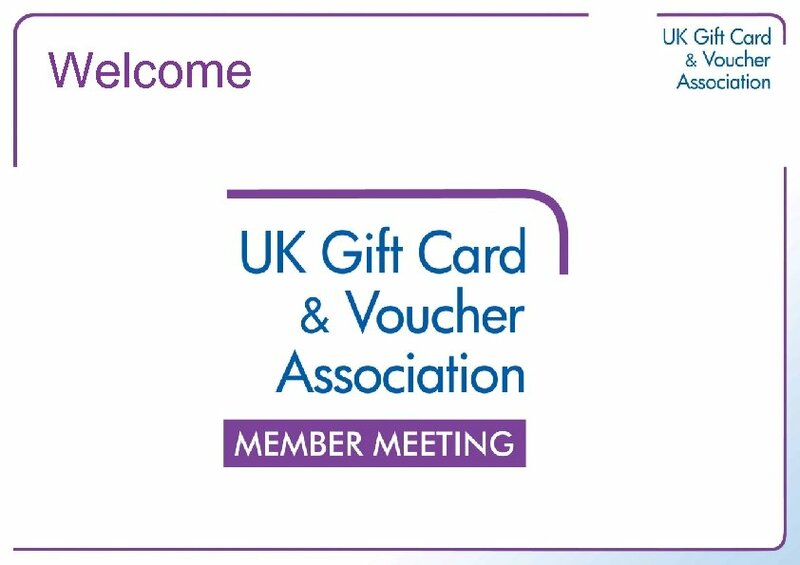 Finder Europe Theatre Tokens Thomas Cook Ticketmaster Retailer Argos Business Solutions Ltd Asda Business Rewards B&Q Plc Boots Company Plc Debenhams Dixons Retail Halfords House of Fraser J Sainsbury's PLC Marks & Spencer Service Members National Book Tokens Ltd National Garden Gift Vouchers New Look Retailers Ltd Next Plc Signet Trading Limited Tesco Bank TK Maxx UK Travel Gift Card Waterstones Wickes Building Services Ltd Objectives: • Discuss the data results specific to your group – Retail, Leisure, Agent • Service Members – what data do you want and is there any you can supply? 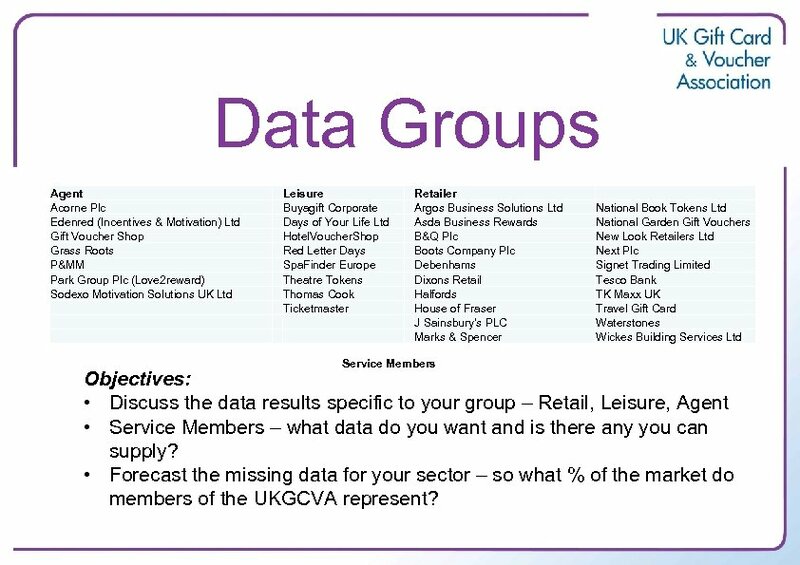 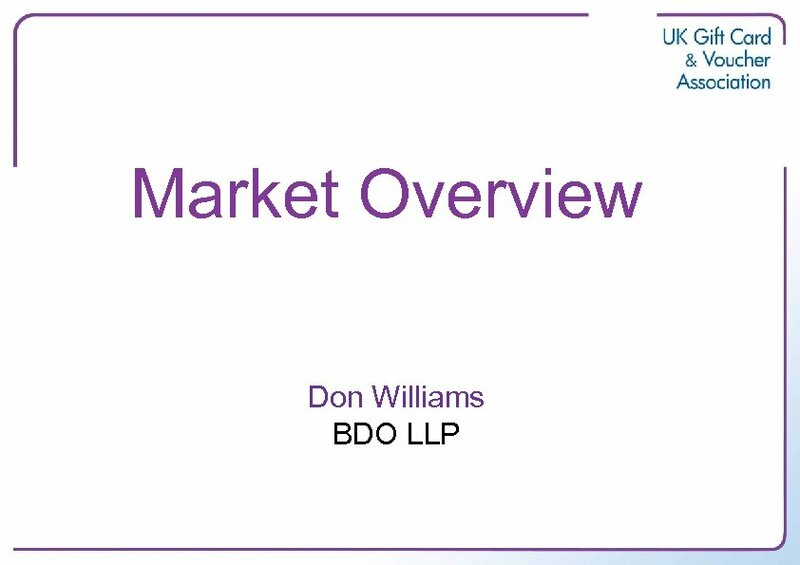 • Forecast the missing data for your sector – so what % of the market do members of the UKGCVA represent? 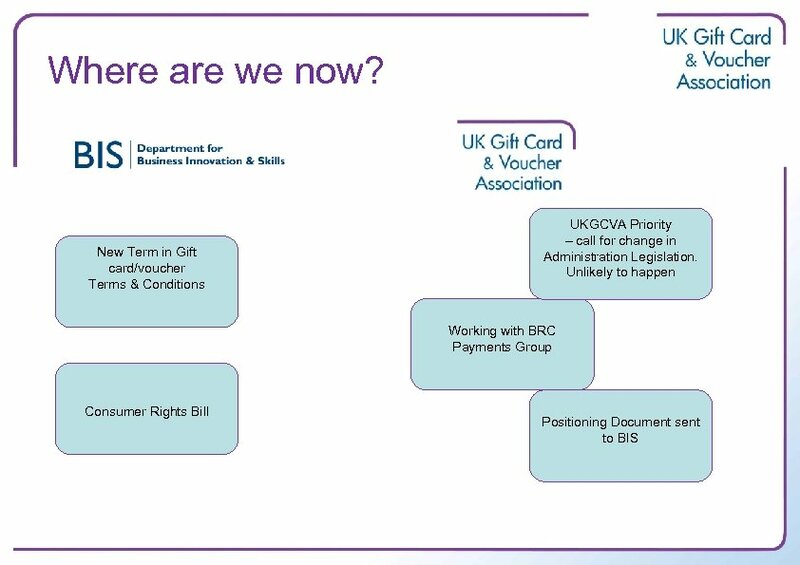 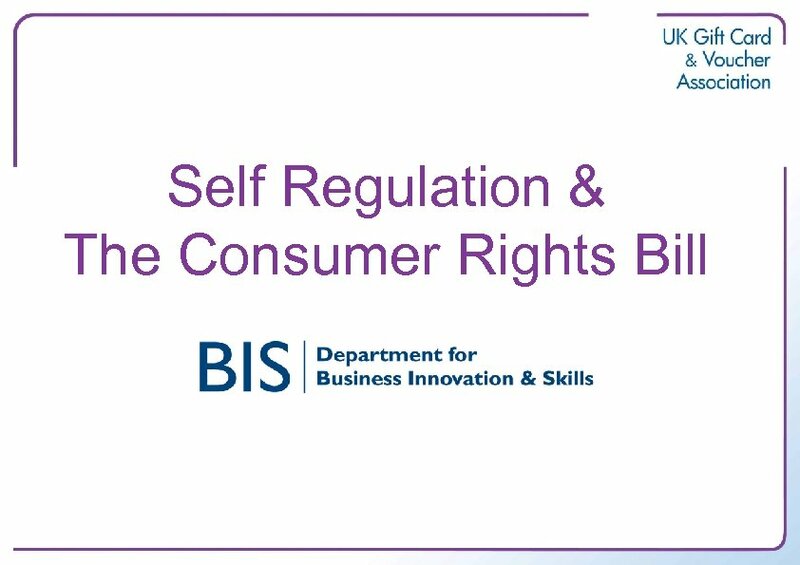 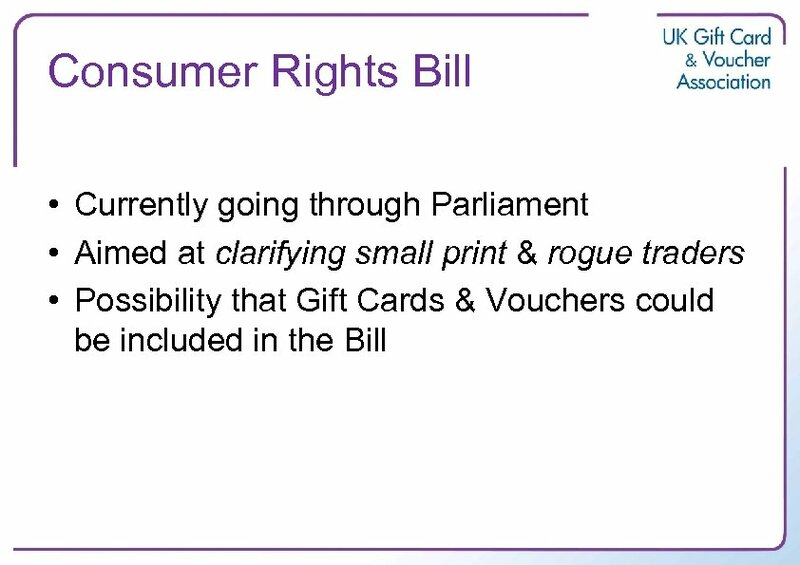 Consumer Rights Bill Committee Sitting (Tuesday) – no specific reference to gift cards or vouchers. 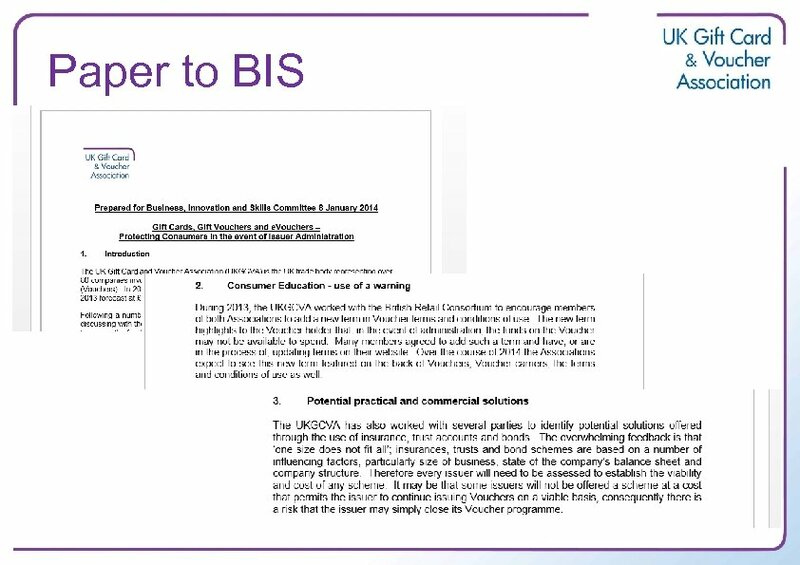 Representatives from BRC. 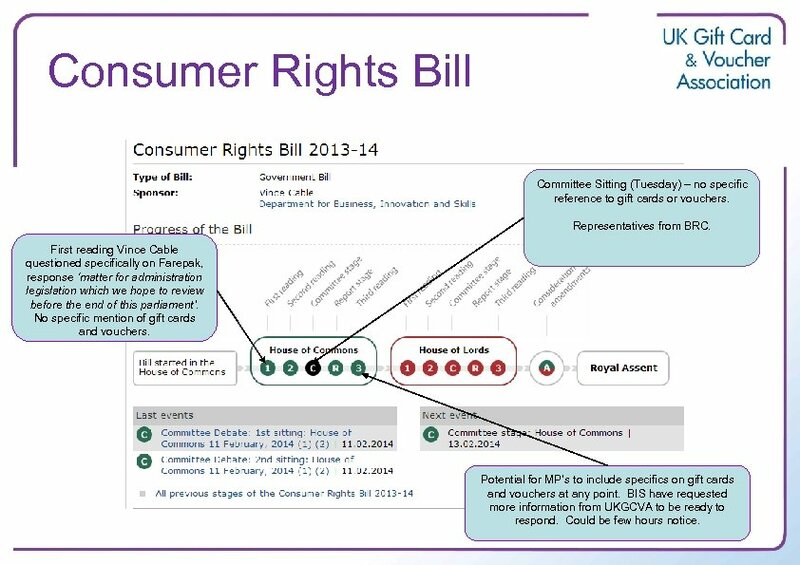 First reading Vince Cable questioned specifically on Farepak, response ‘matter for administration legislation which we hope to review before the end of this parliament’. 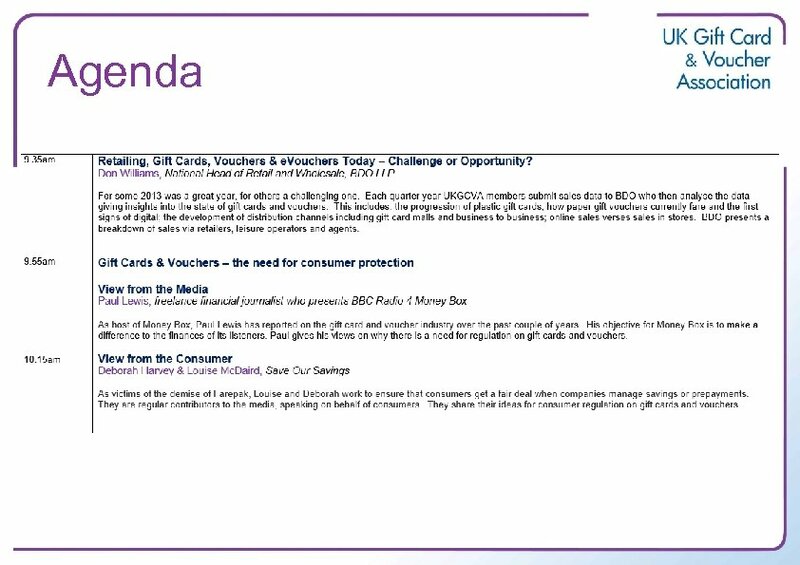 No specific mention of gift cards and vouchers. 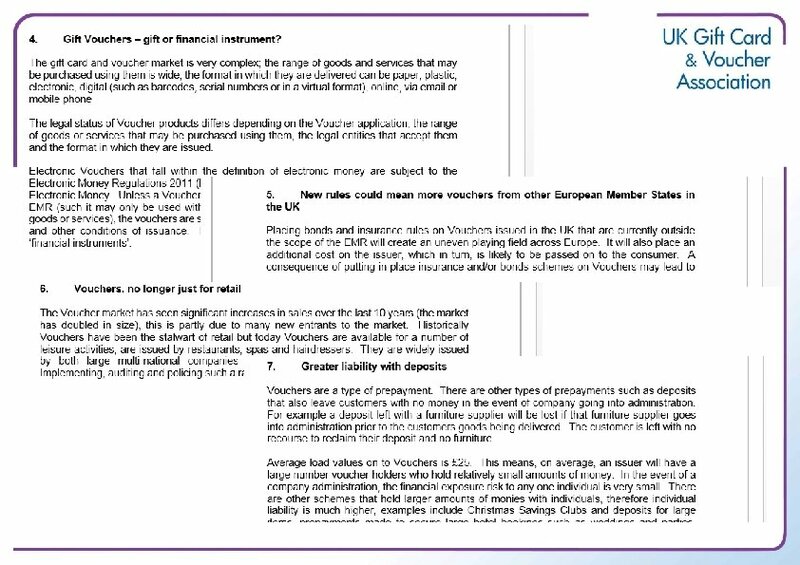 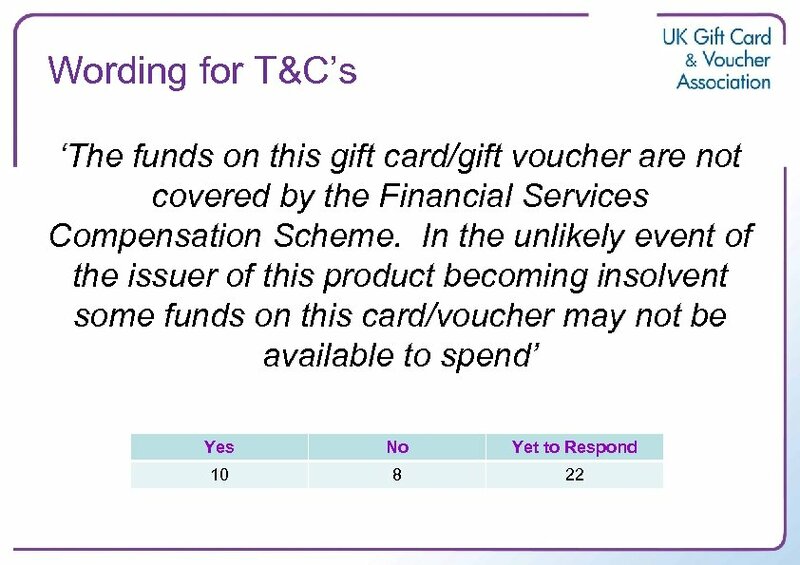 Potential for MP’s to include specifics on gift cards and vouchers at any point. 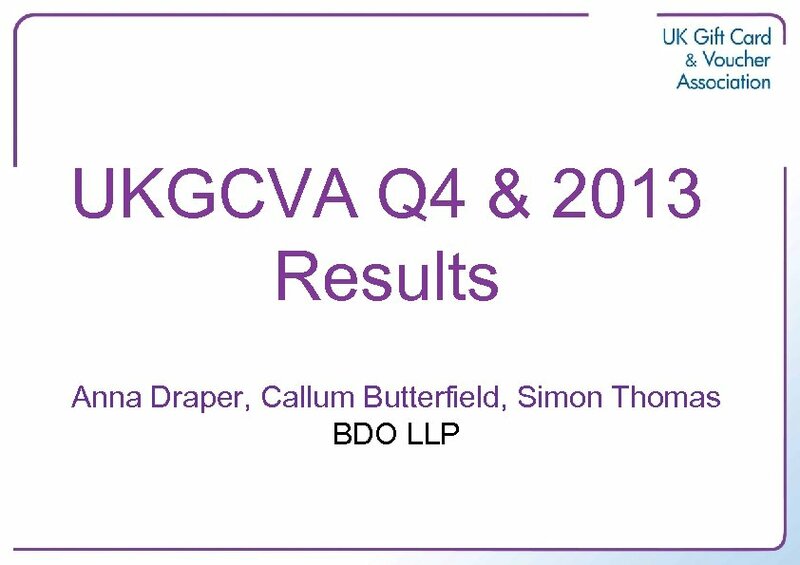 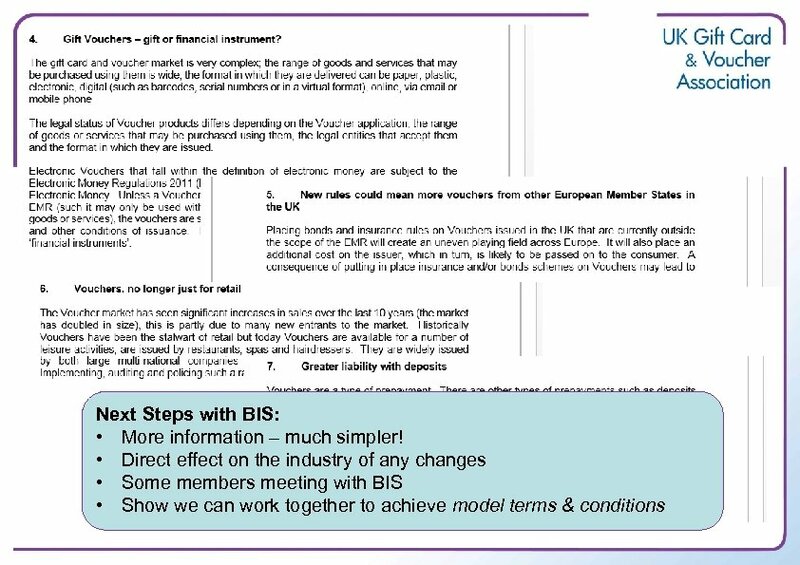 BIS have requested more information from UKGCVA to be ready to respond. 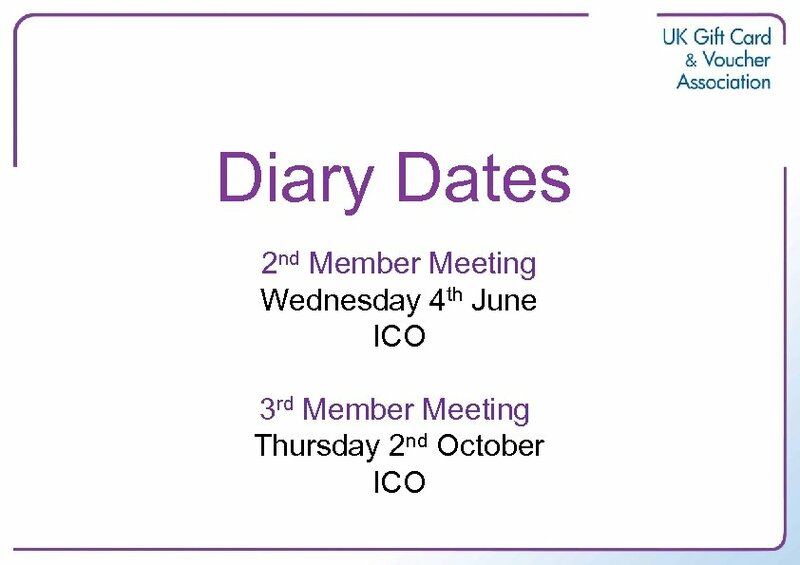 Could be few hours notice. 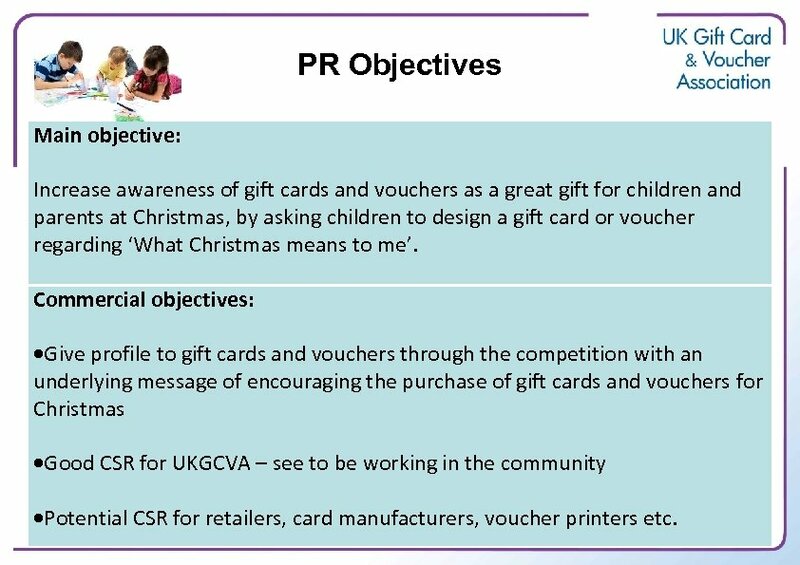 PR Objectives Main objective: Increase awareness of gift cards and vouchers as a great gift for children and parents at Christmas, by asking children to design a gift card or voucher regarding ‘What Christmas means to me’. 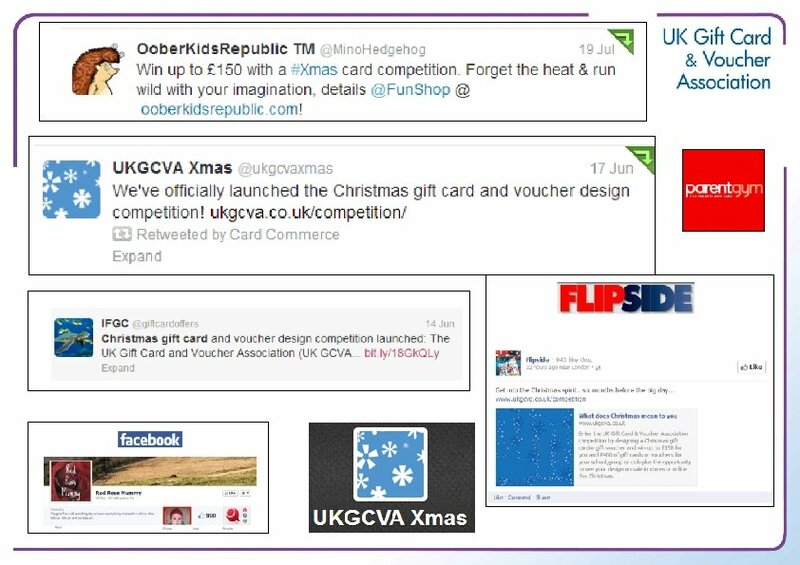 Commercial objectives: Give profile to gift cards and vouchers through the competition with an underlying message of encouraging the purchase of gift cards and vouchers for Christmas Good CSR for UKGCVA – see to be working in the community Potential CSR for retailers, card manufacturers, voucher printers etc. 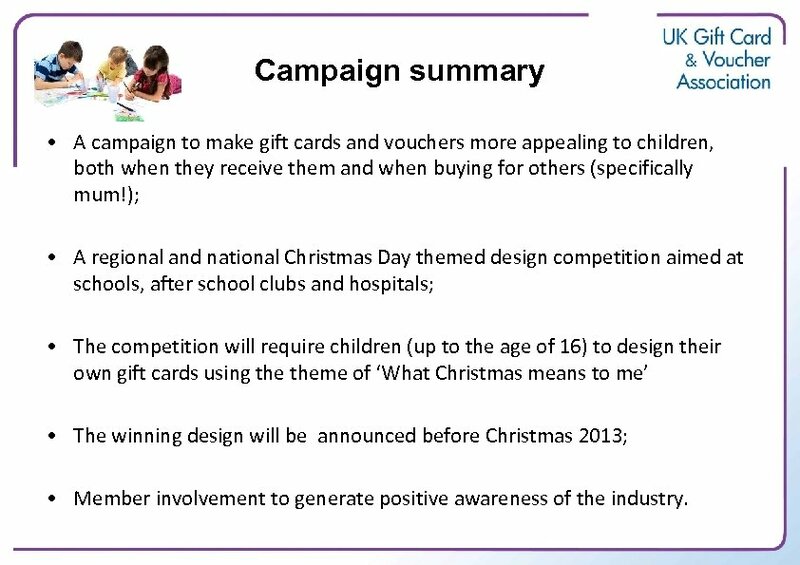 Campaign summary • A campaign to make gift cards and vouchers more appealing to children, both when they receive them and when buying for others (specifically mum! 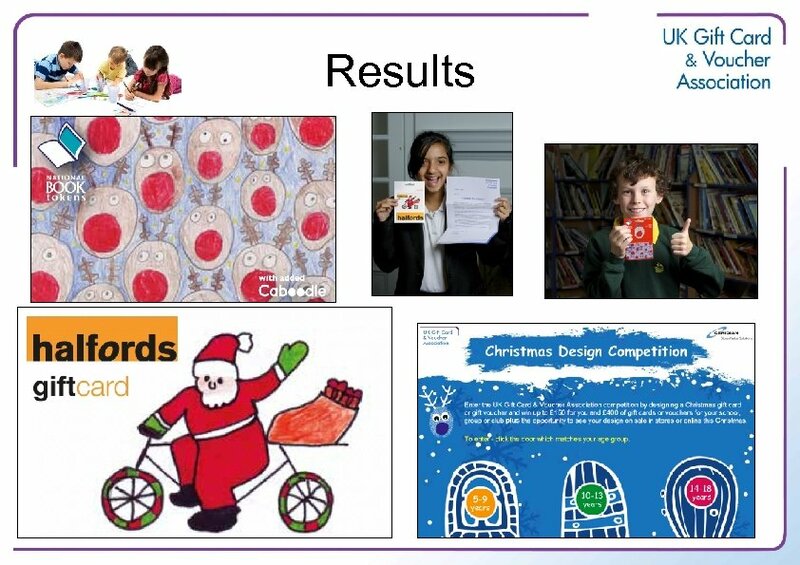 ); • A regional and national Christmas Day themed design competition aimed at schools, after school clubs and hospitals; • The competition will require children (up to the age of 16) to design their own gift cards using theme of ‘What Christmas means to me’ • The winning design will be announced before Christmas 2013; • Member involvement to generate positive awareness of the industry. 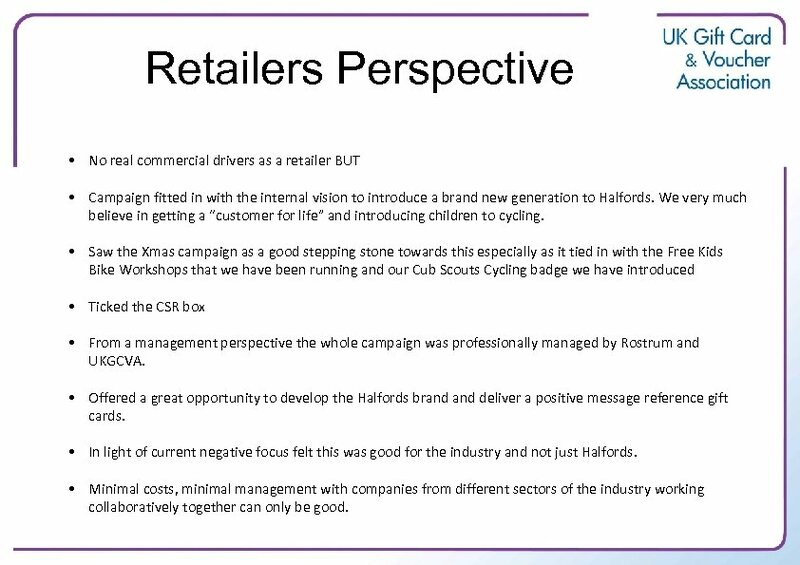 Retailers Perspective • No real commercial drivers as a retailer BUT • Campaign fitted in with the internal vision to introduce a brand new generation to Halfords. 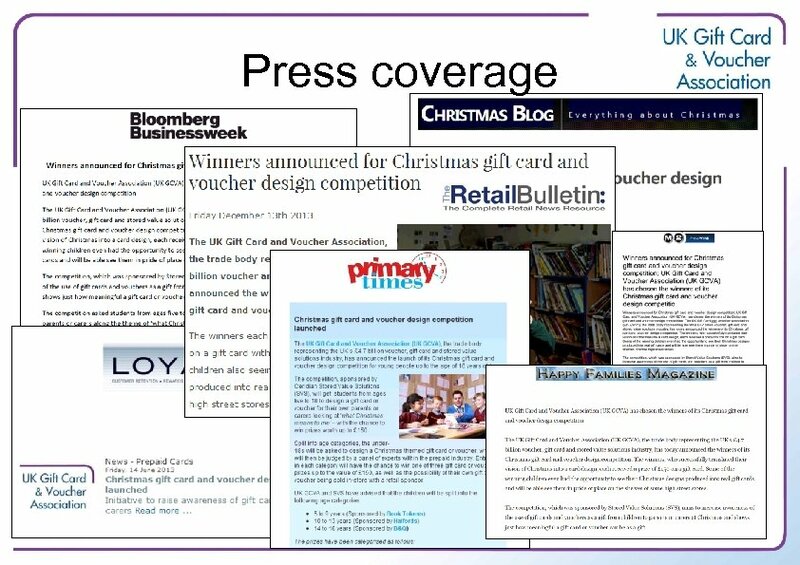 We very much believe in getting a “customer for life” and introducing children to cycling. 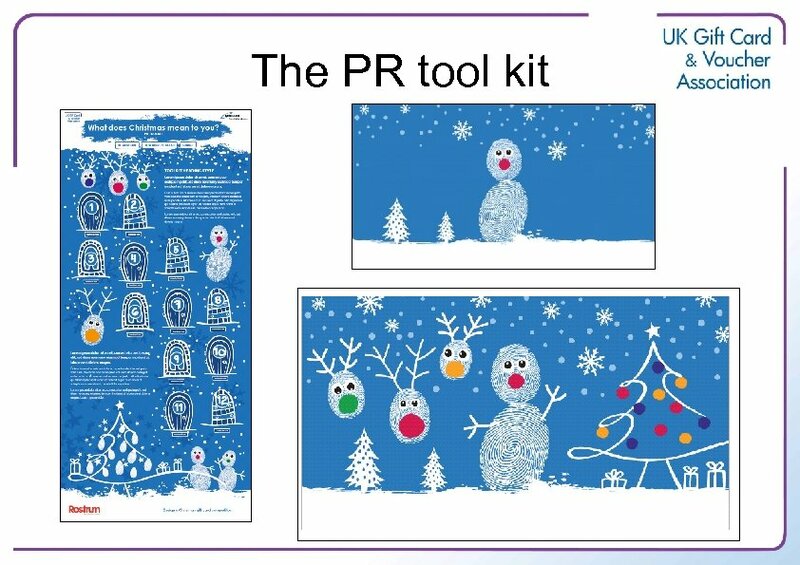 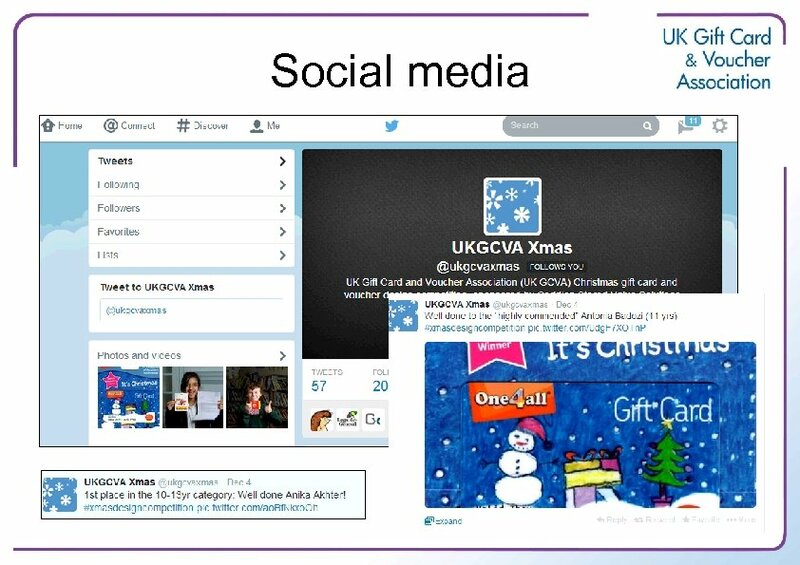 • Saw the Xmas campaign as a good stepping stone towards this especially as it tied in with the Free Kids Bike Workshops that we have been running and our Cub Scouts Cycling badge we have introduced • Ticked the CSR box • From a management perspective the whole campaign was professionally managed by Rostrum and UKGCVA. 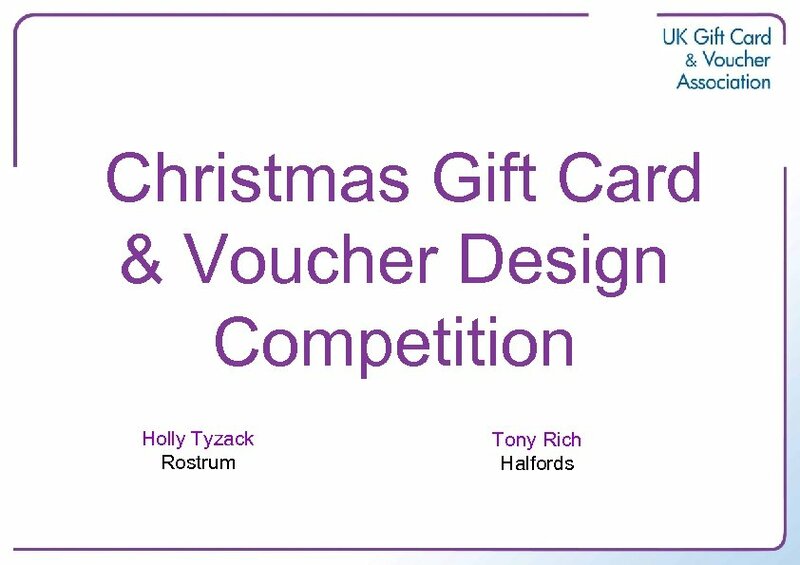 • Offered a great opportunity to develop the Halfords brand deliver a positive message reference gift cards. 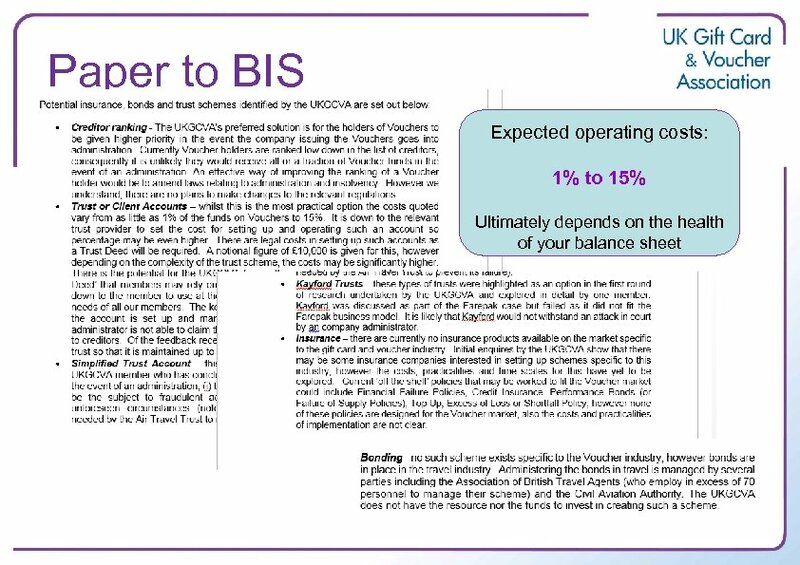 • In light of current negative focus felt this was good for the industry and not just Halfords. 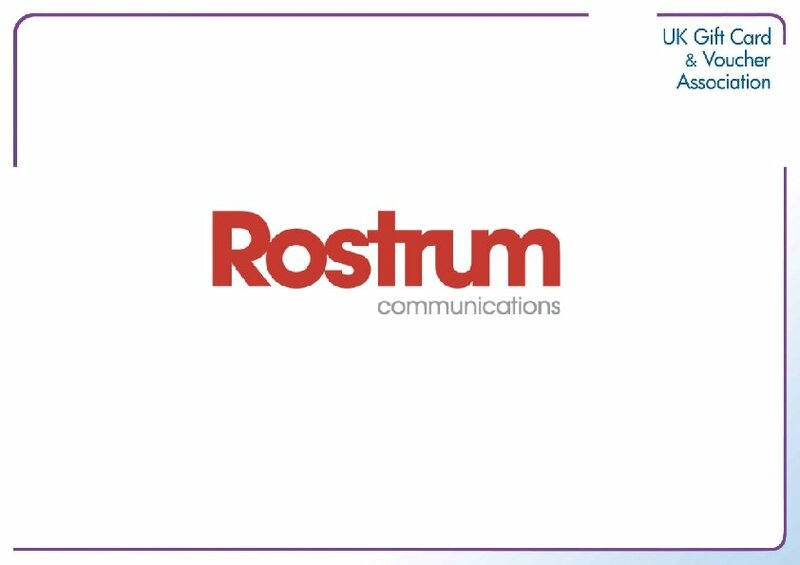 • Minimal costs, minimal management with companies from different sectors of the industry working collaboratively together can only be good. 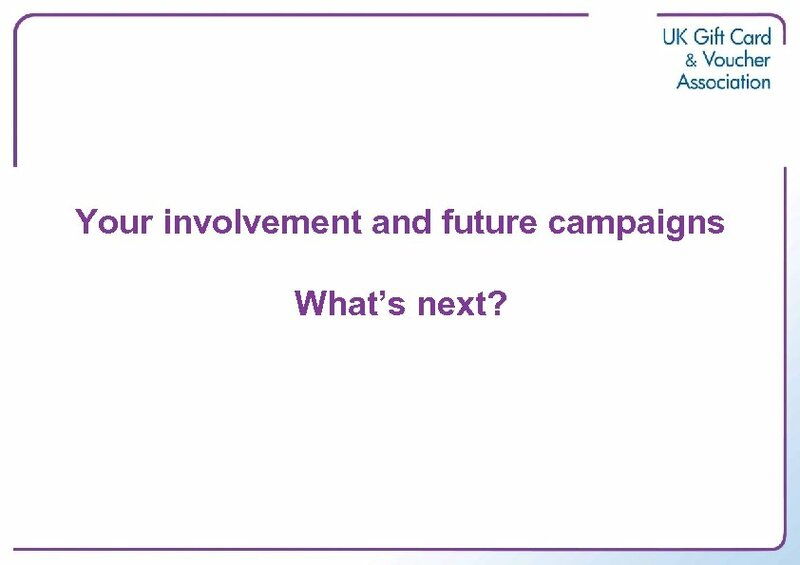 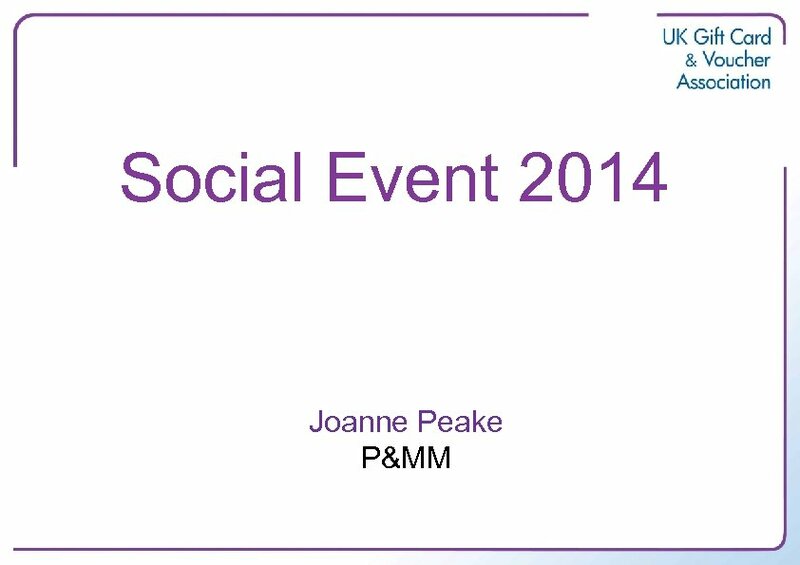 Your involvement and future campaigns What’s next? 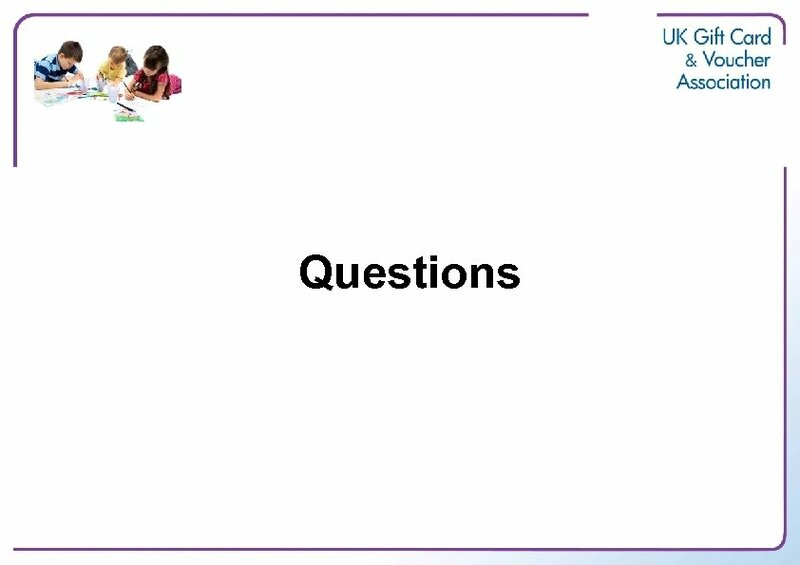 Module: Hotel service process management Lecturer: Dilda Zh.